One of the perks of my job is that I’m often getting “presents” delivered in the form of wine and spirits. The FedEx delivery guy thought I was a closet alcoholic until I led him to my blog. Everything that does arrive gets tasted, though sometimes it takes awhile if I've been traveling. Here’s the latest from the wine and spirits world that I’ve had a chance to try…. The bottle of Smirnoff Pineapple Vodka arrived broken for my Vodka Tasting Party and the Smirnoff clan was kind enough to send another. It was well worth the wait. The flavor is clear and great. I could think of a lot of things to do with this, but the first thing that comes to mind is a Piňa Colada Martini with Ciroc Coconut Vodka and maybe a splash of pineapple juice. And it’s a safe mix since Diageo owns both Smirnoff and Ciroc. Vermont Spirits also sent me some vodka and these two definitely win the most unusual award. The first is Vermont White, made from 100% milk (yes, the stuff that comes from cows) sugar. The other is Vermont Gold, derived from the state’s most famous substance – maple sap. I had to call in some reinforcements for these two unique flavors and we were all in agreement. The White just didn’t do it for us. It’s powerful stuff at 40% and there isn’t enough flavor to do it straight. The Gold, on the other hand, was delicious and we just had to spend the evening mixing tasting it and mixing it (cranberry juice worked especially well). I definitely recommend it. I fell in love with Chateau Chantel in Traverse City. The property is just beautiful and they have quite the selection of award-winning wines (I just included their Proprietor’s Reserve Pinot Noir in a Rum Bum story on the best wine from the most unexpected places). When I heard about Entice, I wanted to give it a try and they were happy to oblige. I can’t say, though, that I enjoyed this as much as their others. This wine is unlike any other I’ve heard of. 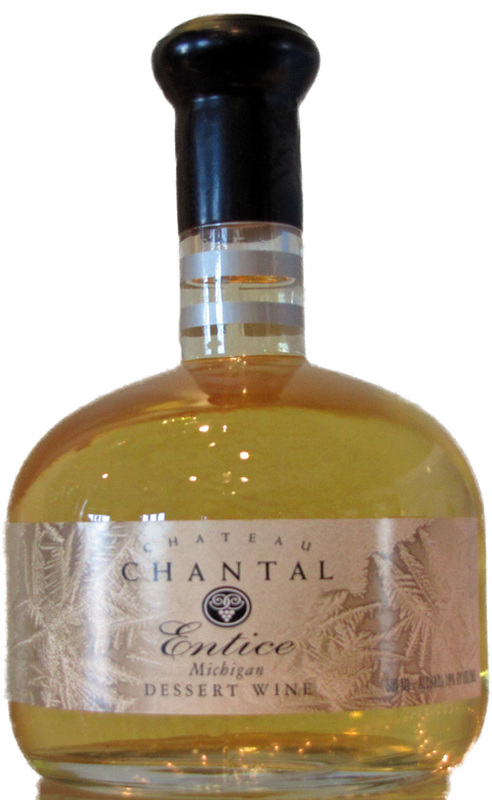 It’s a riesling Ice Wine, a dessert specialty in this area of Michigan, blended with an Asbach brandy. The mix of aged oak and sweetness didn’t work for me. There was just too much going on for me to enjoy it. Also on the wine front, my friends at Lynfred Winery gave me some of their new releases that are perfect for summer. Both the Cherry Sparkling Wine and the Kiwi Rose are delicious by themselves, but are also great starts to punch or Sangria. Add a little fruit and you’ve got some great poolside treats.